There’s just something about jazz music. 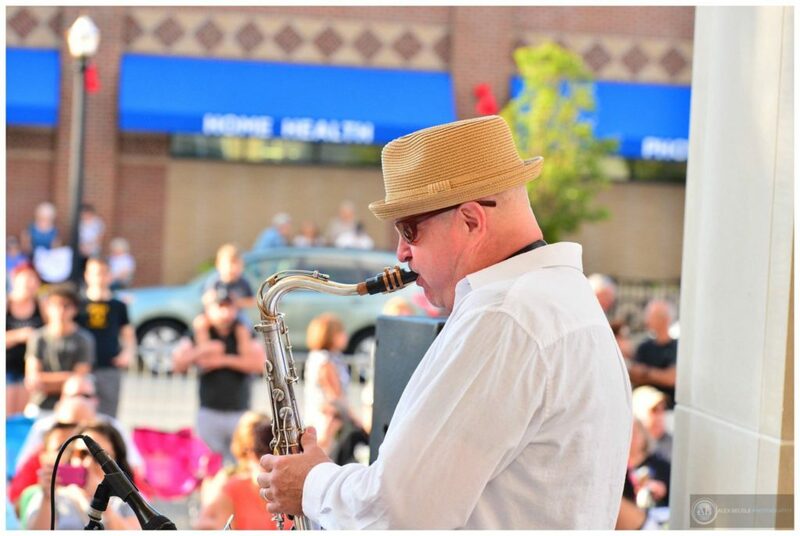 The genre’s smooth rhythms and creative improvisations have the power to captivate an audience, and such will be the case this Friday, July 28, when The Chris Vance Trio performs at LakewoodAlive’s Front Porch Concert Series. Week 4 brings to the stage The Chris Vance Trio. This seasoned group of musicians consists of friends who have diverse musical backgrounds and specialize in playing jazz music. They are fronted by Chris Vance, owner of Vance Music Studios, a Lakewood-based studio that’s offered high-quality private musical instruction for more than a decade. Dan Bruce (guitar) and Anthony Taddeo (drums) round out the trio. “I’ve been involved with the Front Porch Concert Series since it started, and it’s always a great opportunity to play at a unique venue in front of a fun crowd,” said Vance.